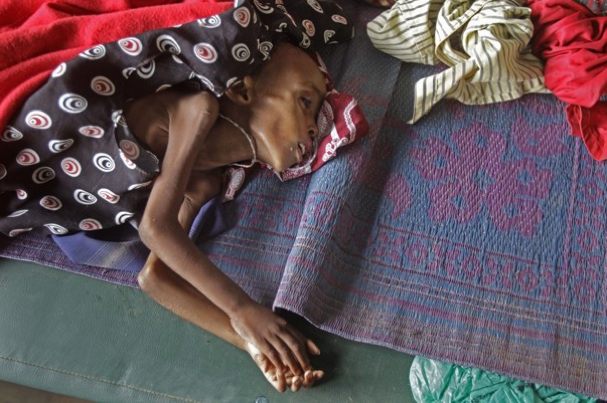 A malnourished starved child lay on his mat. 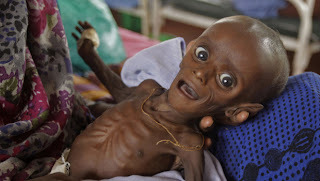 This baby is malnourished and probably won't survive. 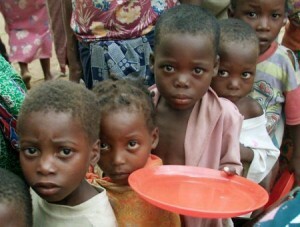 Children wait in line for their rations that they get only one a day. 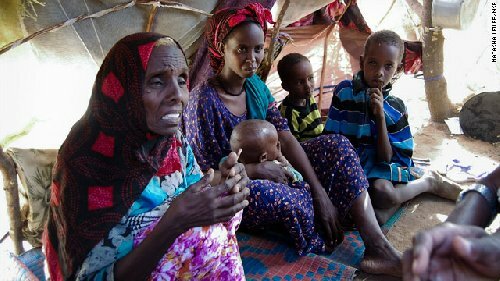 Mothers cling to their children top comfort their hunger pains, with no hope of where the next meal will come from. 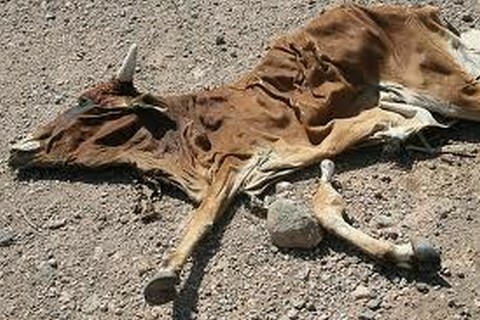 This is a picture of the livestock in Africa, that has died from starvation and dehydration, this was their food source.